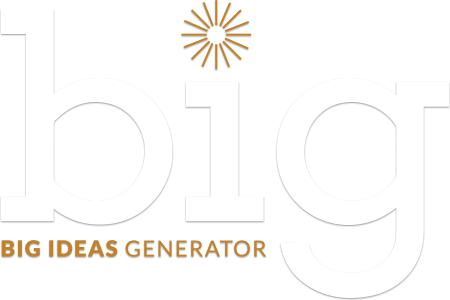 Big Ideas Generator (BIG) powers bold, early-stage projects at UChicago that have potential to grow into significant research agendas. BIG is a joint initiative between the Provost Office and the Divisions. Matching funds of up to $75,000 will be provided by the Provost Office and the relevant Divsion to winning projects. Proposals should focus on a novel, ambitious area of research that has a potential to become an important are designed to systematically test the theoretic assumptions underlying a research project and support its potential to grow into a larger research initiative. Vision grants are peer-reviewed and focused on supporting data-generation activities. Funding decisions for both levels are made by the Faculty Advisory Board. BIG supports projects that are both early stage and ambitious. Exploring the large-scale potential of a project may involve customized support from the BIG team and Research Development Support team, a strategic research development unit at the Office of Research and National Laboratories. Support may involve developing a long-term operational plan and assistance in seeking additional external support in subsequent stages of the project. Ideas take shape in conversations. We aim to provide as many opportunities for conversations with unlike-minded colleagues across campus as possible. Attend quarterly Chalk Talks (rapid-fire faculty presentations on intriguing problems from different fields), workshops, BIG Ideas dinners, and other great events.